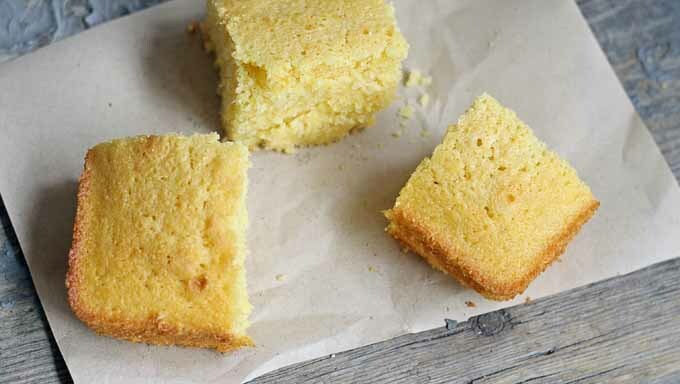 Try this buttermilk duck fat cornbread the next time you make chili! Duck fat is a great addition to this rendition of a classic comfort food. I am a very happy brand ambassador for Maple Leaf Farms – they provided me with the duck fat for this recipe. And that is a totally awesome thing when it’s duck fat and you’re going to do some baking. One of the items in my box of goodies from Maple Leaf Farms was a container of duck fat. I wasn’t totally sure what to do with it at first – I could make duck fat fries like the ones at Hot Doug’s (served only on Fridays and only until October). I could fry potatoes like my Duck University blogger friend Mike. Or I could do what I am pretty good at – bake with it. Baking with the duck fat won out ultimately. I didn’t know where to start actually so I did a little research. When in doubt, search it out. Thank you Google. Duck fat is healthier than butter so it is a great replacement for it, especially in baking. 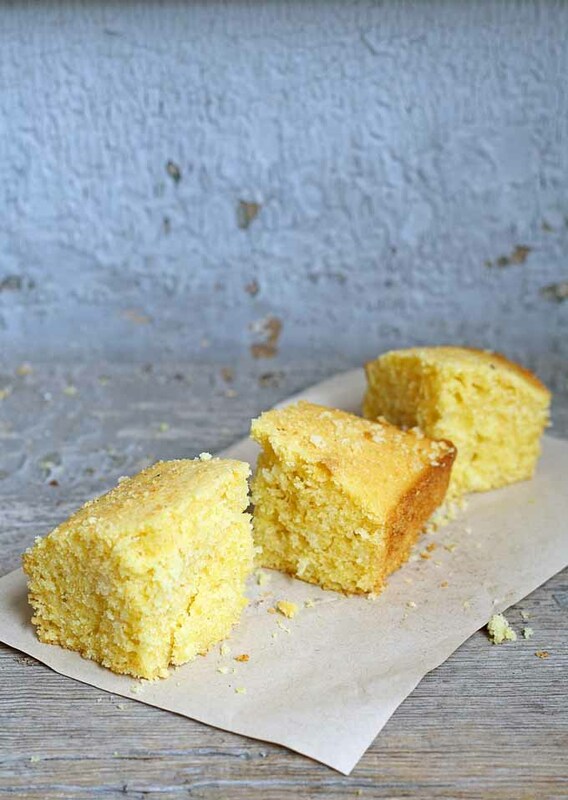 Who wouldn’t want to eat a piece of this cornbread and have your hips and thighs be just a tad happier? (It’s still fat though and you should keep that in mind). Have you ever heard of the French diet? Well, duck fat is the cooking fat of choice in Southwest France. Just sayin’…. I decided to use a half duck fat, half butter ratio because baking is like science. I didn’t want my “experiment” to blow up in my face – this duck fat is not going to waste. 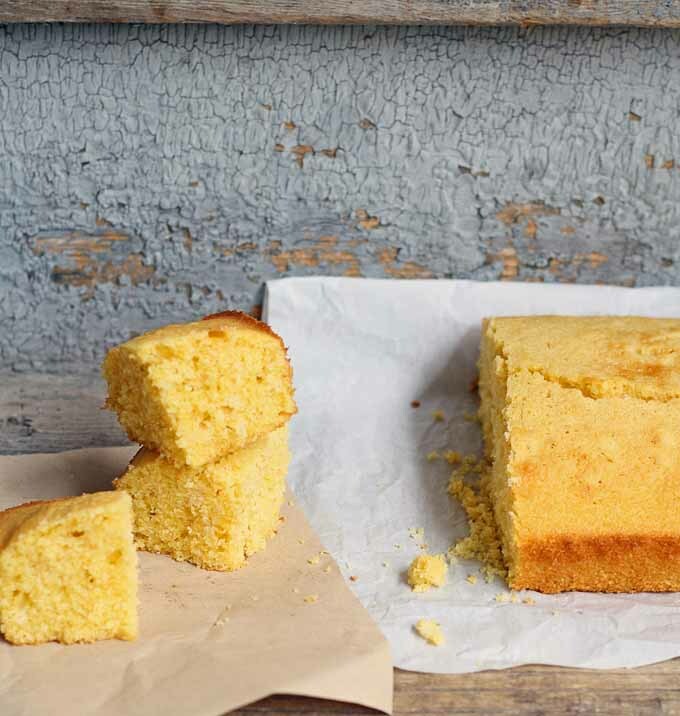 I would have eaten every last bit of this cornbread even if it tasted like dirt. Thankfully, it was as far from dirt as you could get. 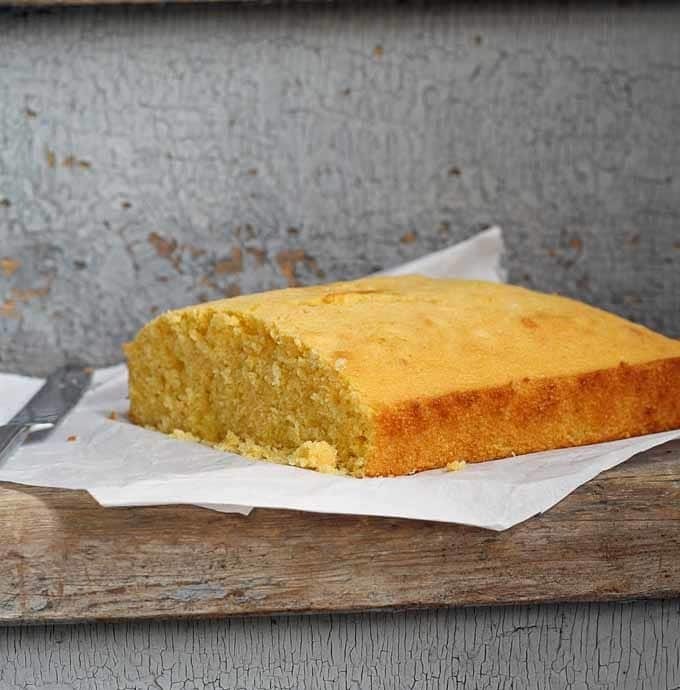 Buttermilk duck fat cornbread is where it’s at. I felt like I was eating a gourmet edition of a very classic comfort food. 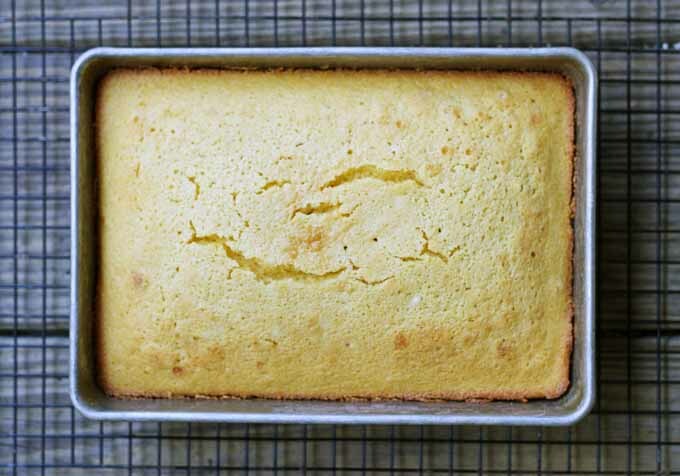 As for recipes, I modified a buttermilk cornbread recipe from Allrecipes. 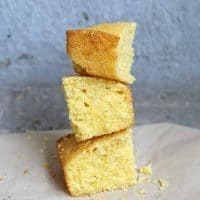 I wasn’t entirely sure where to begin with cornbread but this seemed like as good of a recipe to work off as any. It’s great because you do most of your work in a pan on the stove, and I liked that. My kitchen gets crazy messy when I’m baking and a few less dishes seemed like a great idea to me! If you are looking to make cornbread without the duck fat (ugh, blasphemy! ), I would say go to that Allrecipes page and use that recipe. Soooo good. Preheat oven to 375 degrees F. Grease your pan with the extra duck fat (you can use an 8 inch square pan, or its equivalent). In a separate bowl, combine the cornmeal, flour, salt and baking soda. Use a whisk to stir it up. Set aside. Melt the duck fat and butter in a large skillet. Remove from heat and stir in sugar. Quickly add eggs and beat until well blended. Add the buttermilk to the pan and stir into the mixture. Stir in the set aside cornmeal mixture until well blended and only a few lumps remain. Pour the batter into the prepared pan. This data was provided and calculated by Nutritionix on 1/21/2019. I hope you enjoy this as much as I did! I totally bogarted it and for several days I ate this (though I did let Mr. B try a piece). Just keep it covered and outside of the fridge and it will stay moist and delicious. I didn’t know that duck fat was better than butter. I am going to try this recipe! Yup! It’s about 20% healthier! That cornbread looks so good. Thank you so much for sharing the recipe. If I ate meat I would try this out. I bet it is very good and rich. Thank you for sharing your recipe, I might try it with butter. Very cool! I never thought about using other fats beside butter in baking! Thanks Jenn! Butter is just a lipid, like all fats. 🙂 I hope you like it! I had no idea you could even buy duck fat. It sounds like it could be a very interesting choice to cook with. I love trying new things. I’ll have to check around with some of the local farms! 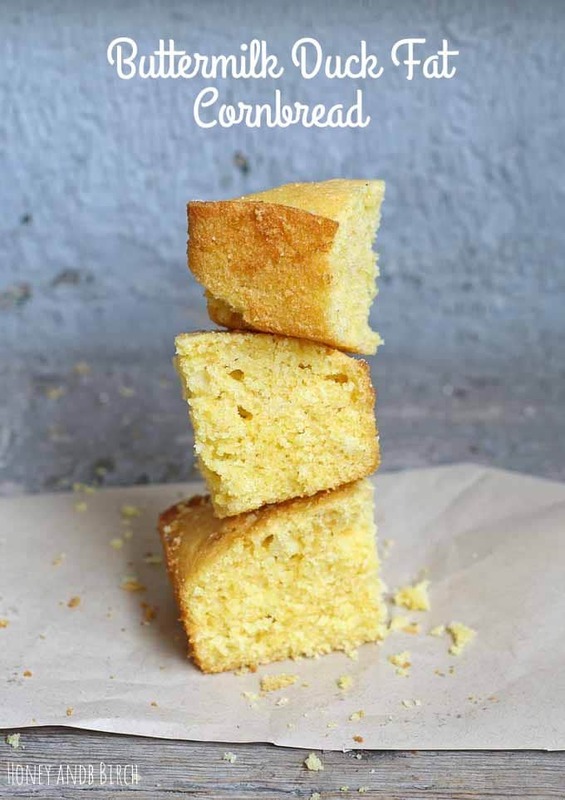 Your cornbread looks wonderful too! Thanks so much for joining us at #FoodieFridays! You can buy duck fat online too – they ship it frozen! Thanks for stopping by!